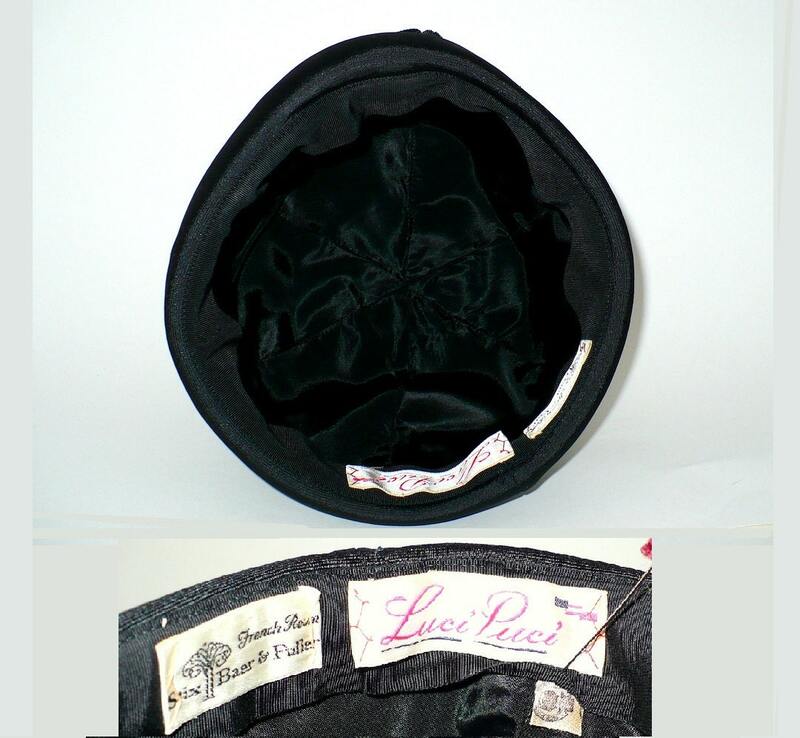 Vintage 1960's Mod hat by Luci Puci. 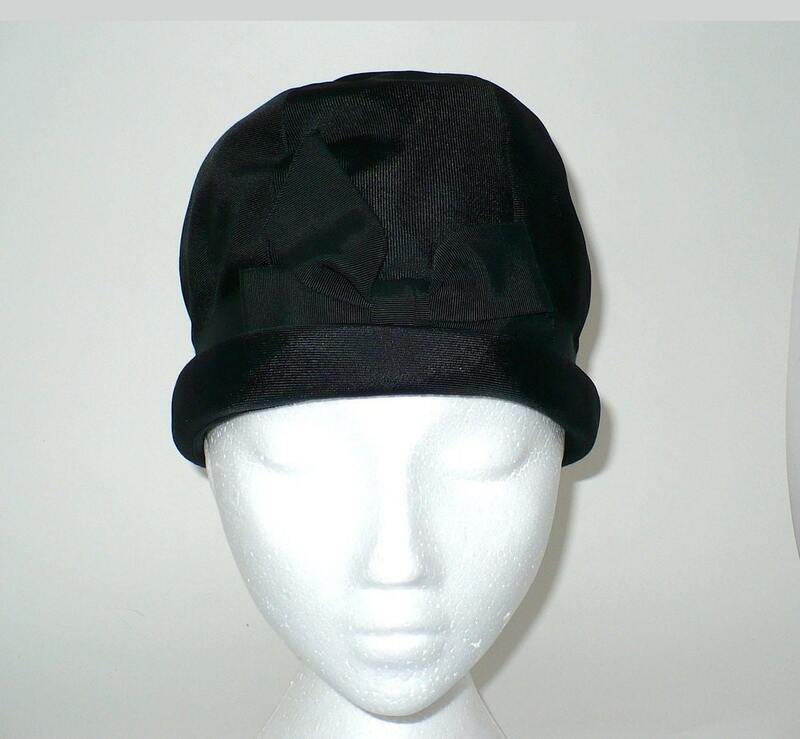 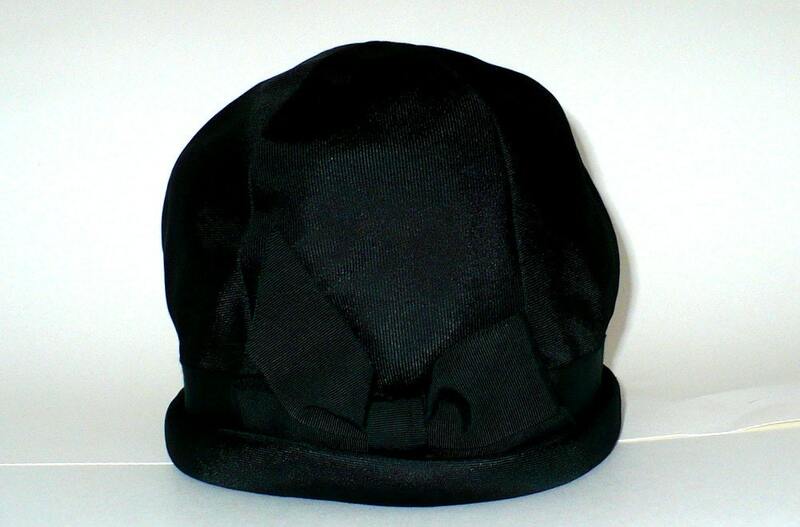 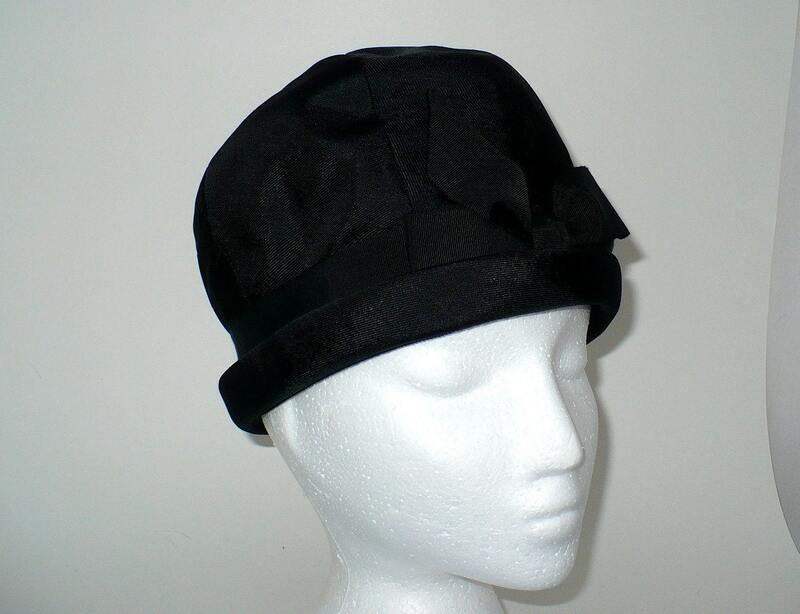 Black silk faille domed cloche hat with rolled brim and dynamic bow. 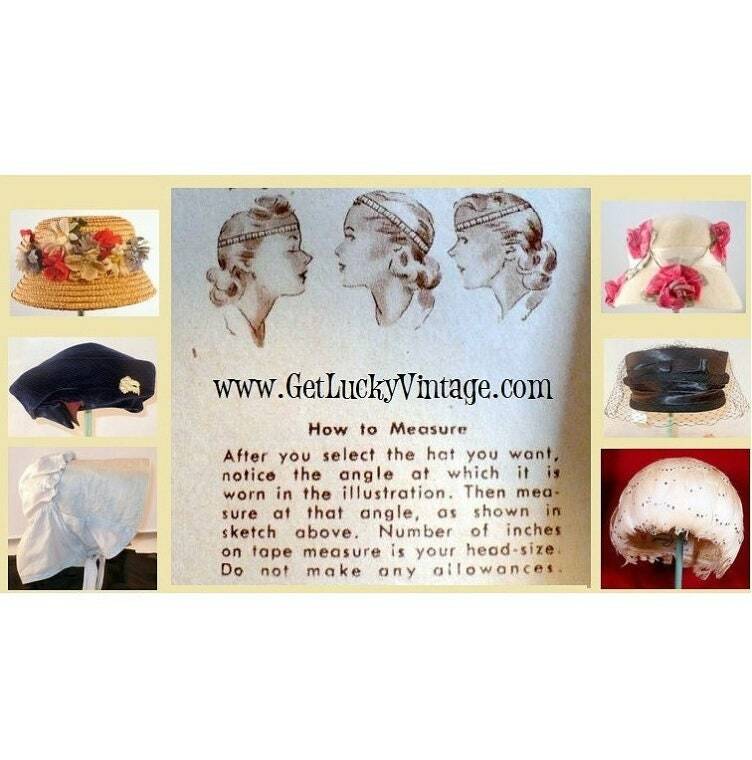 Sectioned, dome-shaped cloche hat; 60s does 20s flapper style hat. 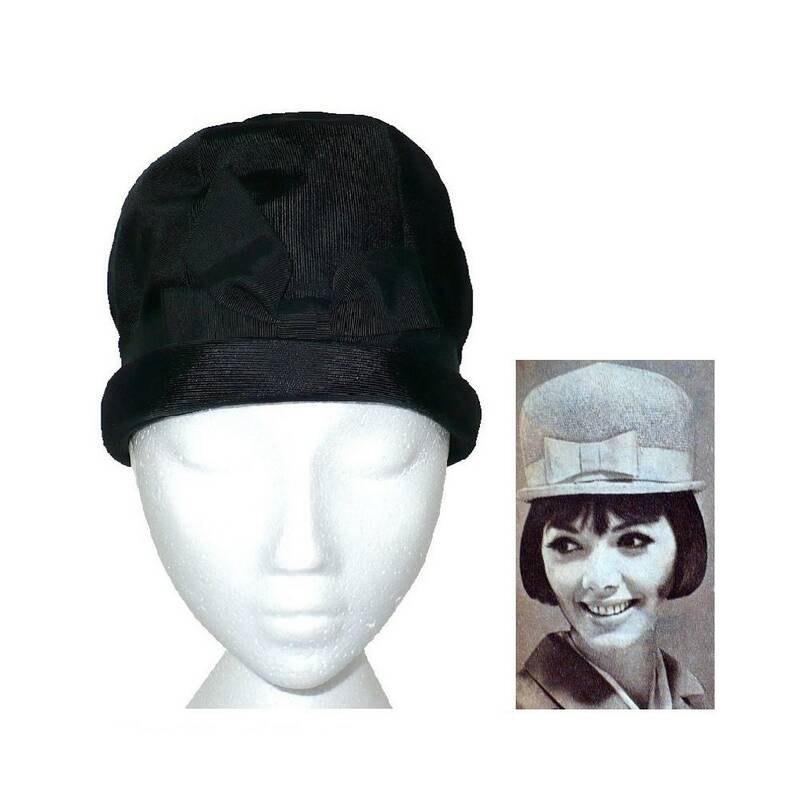 United Hatter's Union Label dates this to the 1960's. 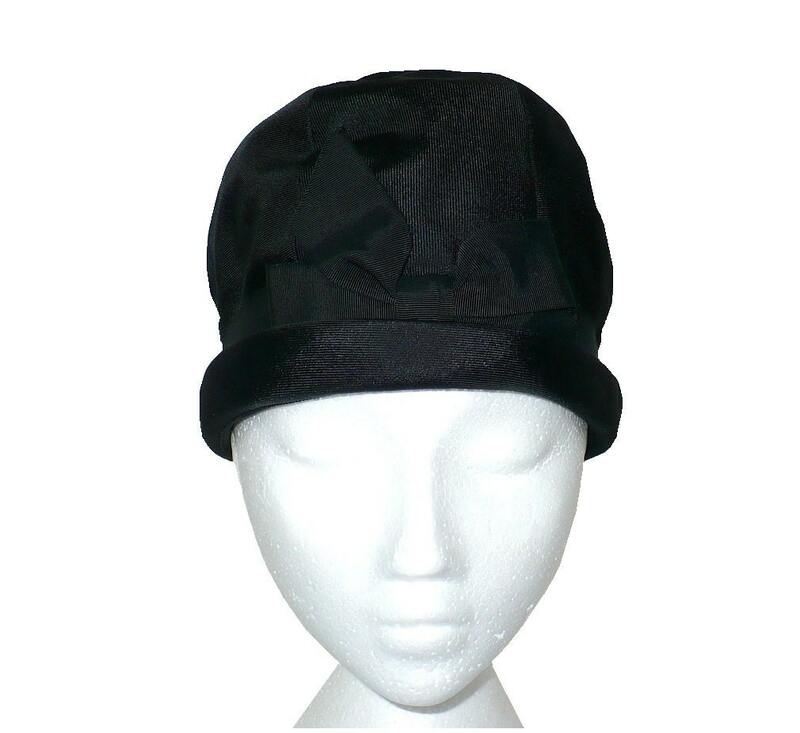 Inner sweatband measures 20 1/2"